Art, originally invented by Europeans – some 40,000 years ago – was most likely invented to compensate for the lack of beauty in a world that by then had become more mongrelized. So it was a way to show the divine to the now more mongrelized European man, who no longer was a pure Neanderthal, and thus was no longer able to perceive the divine harmony of the universe. 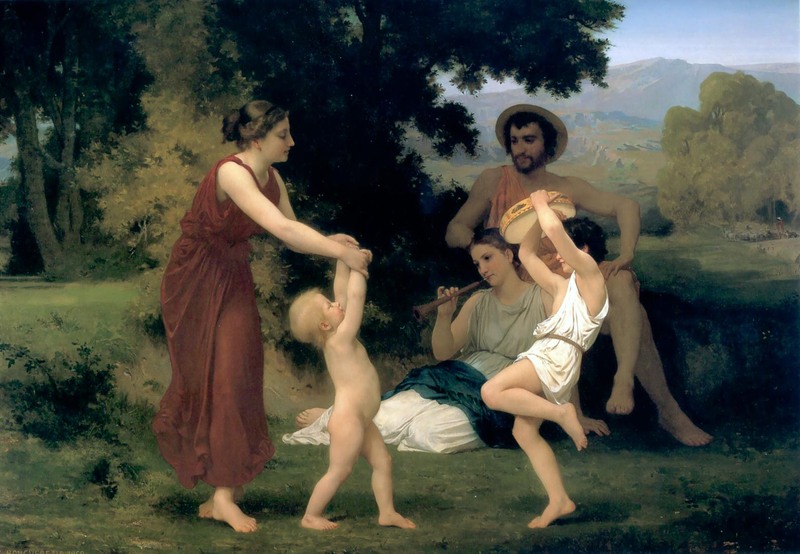 Art was at its peak in the Classical Antiquity, but then – alas! – the Jews successfully Christianized Europe, and the quality of European art suffered no less than the rest of Europe, and not until the Pagan ideals had a renaissance, from anno 1350 an onwards, did the quality of art begin to rise again. In the 1930ies most art had become just what it is today; pure perversities. Therefore e. g. Germany tried to stop this trend and re-introduce art as it was supposed to be like. They removed theEntartete Kunst (“degenerate art”) all over Germany; they burned pornographic and other sick literature, they smashed degenerate sculptures and did their best to purify Germany and ensure the mental health and sanity of the German people by doing so. 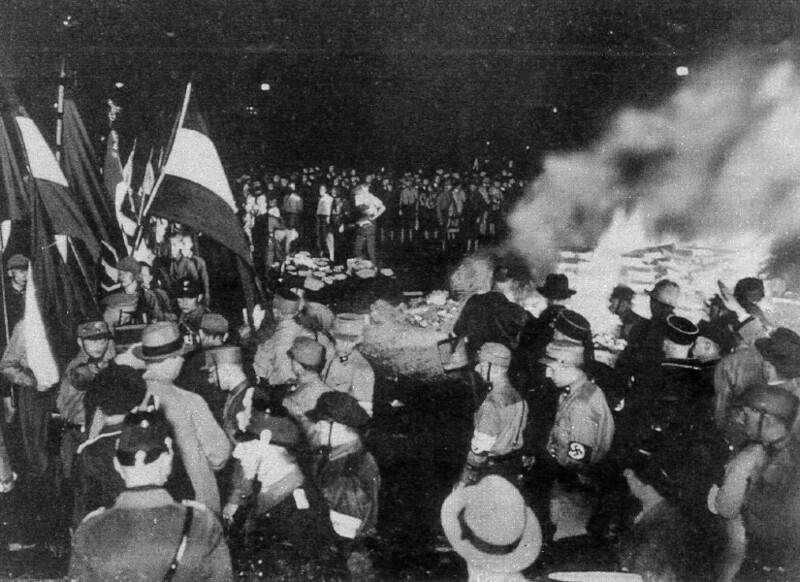 Yes, to all those who think the “Nazis” burned books; they did indeed, but not just any books and certainly not all books. They only burned the filth! At the same time they produced healthy, sane and goodliterature. Germany was not anti-intellectual! It was only anti-perversities, so to speak. Anti-Jewish. And rightfully so. As we know art is and has since 1789 (the Jewish revolution in France, that left France with a broken back and the Jews the ability to become citizens and gain real influence in society) been viciously used to promote the downfall of Europe; real and artificial Jews, from the moment they were allowed to, have produce art with the intent to perverse, to spit upon, to destroy, to soil, to twist and to degrade everything European. They hate Europe (and everything European), so by all means they possess they do their best to destroy it. Art is to them but a weapon to achieve this. “An educated people can easily be governed”. Frederick the Great. Many of you are artists, or at least aspire to become artists, so my plea to you is to revolt against this: drop any and all forms of art education, because today this is only a means by Jews to ensure that you too become a sick artist producing sick art only. Our universities have become like synagogues, the professors and the other lecturers too like rabbis. Stay away from them! Make sure you only produce art that promotes the good, healthy, strong and honourable in man! Promote only Europe! To do so youmust educate yourself, and reject any and all Jewish influence. True art comes not from knowledge or taught skills, but from you; from your own mind and spirit! We can and must use art to promote Europe, and if we do it will be an important factor in the preservation of Europe as a European entity. This alone will not save Europe, but nor will any other factor alone save Europe. We must use all the legal means we have available to combat the sinister (real or artificial) Jews and to revive and preserve the true Europe; the good, honest, honourable, homogeneous and of course Pagan Europe! “The highest result of education is tolerance.” Helen Keller. Artists across Europe can contribute to the European victory, and should by all means do so! That is the responsibility of the European artist; to promote the divine harmony of Europe! HailaR WôðanaR! 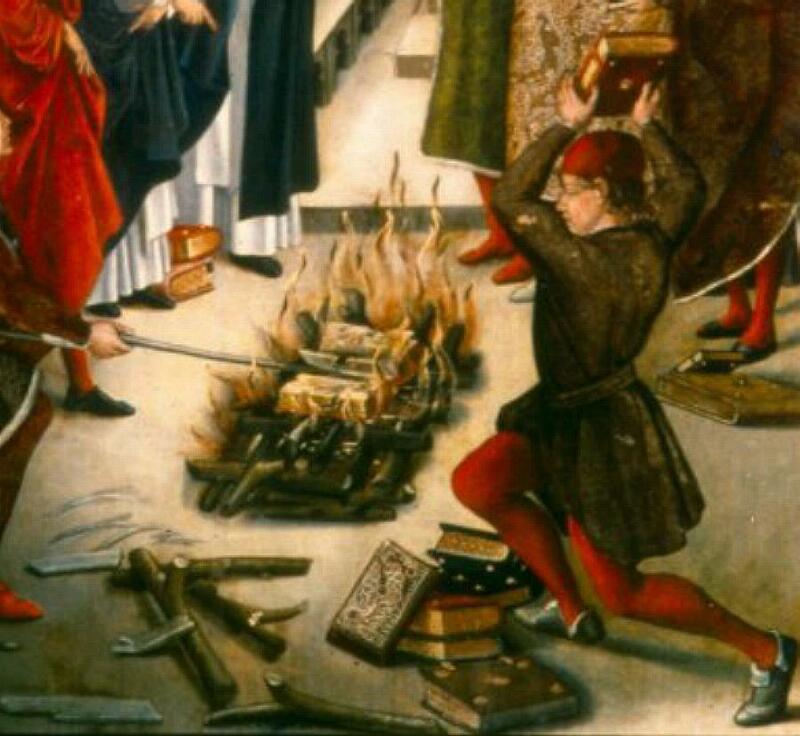 The French King Louis IX wisely ordered the burning of the Talmud in 1242. The National Socialists wisely ordered the burning of the Talmud and other equally poisonous books in the 1930ies.